Situated just steps from the bustling Robson Street and Stanley Park, this partially furnished and exceptionally high quality private office facility includes 20 free boardroom hours per month for each and every occupying tenants at the center and also has a number of unique and highly sought-after provisions such as the beautiful views from its floor-to-ceiling window and impressive glass-fronted visage. This state-of-the-art center offers a range of office solutions available for any duration. The building is located in the center of Vancouver, within easy reach of everything the city has to offer. The locality's range of transport links are also fantastic and offer all prospective tenants and professional visitors to the site with a multitude of frequent and convenient travel options in operation throughout the area. Take advantage now of one of Vancouver’s most sleek and stylish buildings right in the centre of the well known and thriving commercial hub in the downtown area. Clients are invited to choose from a variety of executive suites with the best technological facilities and equipment available to all occupants within corporate tenancy agreements. All major transport links are only moments away; with a number of shopping malls, restaurants and entertainment venues within the local area and within walking distance. This fantastic value, exceptional quality and contemporary 35-storey office building provides stunning views over downtown Vancouver"s main financial district as well as the variety of stunning destinations throughout the region, including the popular Stanley Park and the seaport. Fully furnished and equipped executive suites and open-plan office space in one of the tallest and recognisable buildings in the whole city. With a fantastic bar in the basement of the building amongst other unique and socially focused on-site amenities, this business center is perfect for after work drinks and offers innovative, shared workspace solutions spanning five floors of this lifestyle hub. Members of the space benefit from a great location with the Burrard Street SkyTrain Station directly integrated via an underground connector. An area that has proved attractive to companies both large and small. This exquisitely furnished and state of the art business center installation is a primary corporate setting, conveniently situated within one of the region's foremost and most thriving commercial communities. Featuring such professional and executive facilities as secure parking provision, well lit interiors, flexible terms of occupancy, conferencing capabilities, high speed internet connectivity and much more. This modern and exquisite office center is situated within a large and contemporary business building set in one of the most exciting arrays of prominent executive suites in Vancouver’s elite cultural district. Attractively furnished and fully equipped, each office to lease includes access to state-of-the-art boardrooms and facilities. All of Vancouver’s major transport links are just moments away. With a highly visible location on the waterfront this centre has 20 brand new fully furnished offices available. The building provides stunning views of the water as well as high-speed Internet access and receptionist services. The regional transport links are also excellent, with a wide range of services on offer throughout the immediate vicinity, including frequent and convenient services in operation via road and rail networks. Recently decorated to a high standard, this historic building in New Westminster is host to a stunning collection of spacious executive suites. A luxurious boardroom, modern facilities and state of the art equipment are at clients’ disposal. These offices for rent are located only minutes’ from downtown Vancouver and the rest of the vibrant surrounding area. The excellent and diverse transport links also make the center easily accessible. Each newly renovated office features independent heat and air conditioning, individual security alarm system, wired CAT5 Internet Access, and essential office furniture. Office sizes range from approximately 80 to 150 square feet and all-inclusive rates range in affordable pricing. Grab breakfast or meet your client for coffee at LePetit Cafe to start your morning right. Visit Mosquito Creek Park Trail just minutes away for a break. 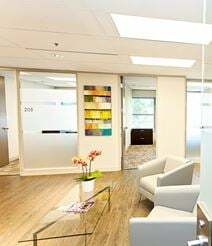 This exquisitely furnished and state of the art business center installation is one of Vancouver's most innovative, premium standard and commercially significant workspace solution providers; widely renowned throughout the immediate locality as a landmark and highly prestigious business site and professional working environment. The area also provides a number of highly convenient transport links that make the site easily accessible. Opening November - A vibrant working environment in downtown Granville equipped with speedy, unlimited WiFi to prevent disruptions and slow progress when it comes to getting work done. Network with like-minded professionals in the breakout space, over a fresh cup of coffee and feed off the exciting energy curated in the space. Local to a lively collection of shops, restaurants, hotels, fitness clubs, and entertainment venues to enjoy and with great connection to Vancouver City Centre Station and the Vancouver International Airport, all your travel needs can be met from this fantastic space. Opening November - Experience a creative and inspiring workspace in Vancouver's Mount Pleasant community; a burgeoning tech hub with fast and easy access throughout Vancouver, offering access to a dynamic business community and Vancouver’s largest arts university. A place to spark new ideas and work confidently in contemporary style in either the co-working business lounge or office space tailored to your specific needs. Within walking distance to hotels, cafes and gyms as well as Carolina Park and China Creek North Park. Connected via bus and train through VCC-Clark station, accessible in a ten minute walk, and providing great access to central Vancouver this space has all of your interests and needs covered. Providing premium services with clients’ entire well-being in mind, these sophisticated furnished executive suites offer an all-inclusive staff rest area with private showers and dedicated relaxation room. The offices to lease are equipped with state-of-the-art technology and comprise a luxurious amount of space, as well as access to contemporary boardrooms. Situated in scenic downtown Vancouver, all of the city’s landmarks are only minutes’ away. Situated in the trendy downtown Vancouver, in a prime location popular with businesses, this highly-visible address offers serviced offices on flexible terms. The locality's extensive and reliable transportation infrastructure is also of an excellent standard and provides a multitude of both frequent and convenient travel services in operation throughout the wider area, which makes the center easily accessible from any part of the region. 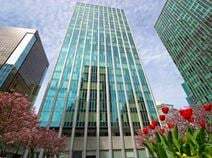 Next door to the Provincial Law Courts in downtown Vancouver, this professional technologically powered office space is located within a striking glass 20-storey office and retail tower. Being within easy walking distance of a SkyTrain station the whole of the city is made easily accessible and the wider reaches of the city and its surroundings are reachable for all corporate tenants and commercial residents. 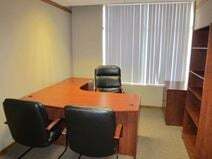 Comprising a respectable number of fully furnished executive suites, this contemporary business centre provides clients with the latest in internet and telecommunications technology. Each office to lease benefits from dedicated conference space and all modern business amenities. Additional benefits include quick transport links to both Vancouver and Burnaby. The locality also offers a range of excellent transport links which connect the center to the wider city with ease. This newly-renovated and luxuriously furnished landmark office building provides various different sizes of workspace solution packages for professionals of any industry or corporate background, all set over three floors of the premium and contemporary installation. The centre is located close to Lion Gate's Bridge on one of the busiest streets in Vancouver North Shore, and is close to a multitude of convenient transport services. Chic and elegantly designed, these contemporary executive offices are light and airy, and come in packages tailored to individual client needs. Flexible space and a full range of modern amenities facilitate a peaceful and convenient professional environment. 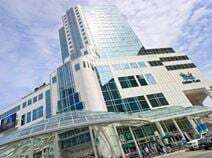 Clients have easy access to this beautiful centre by car, Skytrain and Seabus near Vancouver’s striking coast; with the extensive and convenient local transport links making the center easily accessible. This center is conveniently located close to three secure parking lots, and one block from the Waterfront Skytrain station. This is a simple, clean and relaxed office with a loft feel, offering carious options to meet different working styles. Shared workspace, meeting rooms and private offices are available now. The local transport links make the building easily accessible and ideal for commuting tenants. Located in downtown Vancouver is definitely the place to be if you looking for a professional yet fun environment. Full with the best of amenities including a shower to keep clean after a workout on the onsite fitness center. If your four-legged friend keeps you happy you can bring your pup to work with you. This Location with stunning views of the North Shore Mountains, the Burrard Inlet, and the stunning Vancouver skyline. This center is perfect for start up technology companies. With Printer/Scanner options, Mail/packages collection, Air Conditioning, Pet friendly community, Open Plan, Bike friendly, Hardwood Floors, Brick Walls, Kitchen Facilities, Access to Venture Capital and Access to Mentors. There tons of shops and restaurants nearby to complete the perfect work place to call home. CRAB Park at Portside is just blocks away. With flexible lease terms and full services onsite, these offices to lease are an ideal location for smaller businesses and large companies. All executive suites boast striking views of Vancouver and False Creek, and benefit from the convenience of close proximity to the city centre. The regional transport links are also exceptional, with an extensive number of both frequent and convenient services in operation. Select a sophisticated and fully equipped executive suite from this premier business centre. Situated in scenic Vancouver, these offices to lease offer breathtaking views of the surrounding area. Additional benefits include smart boardrooms and onsite support staff for the ultimate in convenience. Major transport links are only moments away, and the centre is easily accessible from the rest of B.C. Luxurious, opulent and extremely well-situated; these Class AAA executive suites are available to lease immediately on flexible occupancy terms for clients and professional tenants of any industry, background or commercial requirement. A full range of state of the art business facilities has been included to provide a smooth working environment to clients. Renowned Robson Street and an impressive variety of high-end shopping, restaurants and hotels are only moments away by foot. Contemporary executive suites are now available on a high-end premise in downtown Vancouver. All spaces come wired with the latest technology, plush furniture, onsite support staff and fully equipped conference rooms. An impressive array of amenities is only steps away. The center is also easily accessible due to the area's wide range of fantastic and highly convenient transport links, which include frequent and convenient services in operation across multiple road and rail networks. These impressive, all-inclusive, fully modernized executive suites offer clients the convenience of bespoke layouts and a truly ideal location off Lions Gate Bridge. Clients enjoy specialized business services, striking views of the surrounding area, and support of onsite operational support. Contemporary amenities include high spec internet and communications technology, as well as a comprehensive cyber café. This prestigious and exquisitely furnished business center installation is an attractive and stylish working environment, offering some of the most substantial and effective professional business services and a vast array of fantastic benefits to enhance an promote working productivity for all types of business clients. The building offers a number of technologically advanced and sophisticated facilities and some excellent professional services. Who Belongs Here? Why you do of course! The members come from diverse sectors, backgrounds, and places; but they all have a passion to make the world a better place. Our community is made up of non-profits, for-profits, entrepreneurs, creatives, activists, professionals and techies who are challenging the status quo. Together, we have skills in finance, green building, education, food systems, sustainability, law, design, community development, and everything in between! Ideally located in a distinctive business centre in downtown Vancouver, these professional offices to lease offer clients a huge range of services. Benefits include 24 hour access / security, secretarial support, boardrooms, conference suites and fully furnished and equipped workspaces. Convenient to a great range of amenities in the local area, as well as public transportation links at the SkyTrain station. Close to a variety of excellent amenities and accessible via Highway 99, this superb business centre occupies a stunning skyscraper at an historic address in lively Vancouver. With wonderful views of the harbour and mountains beyond, this building provides a range of spacious and airy executive suites in a stylish business environment. The regional transport links are also excellent and easily connect the center to the surrounding areas. Professional, modern and creative workspace solutions are readily available for ambitious and creative professionals at this exquisitely furnished and contemporary business location that is fully furnished in a modern and stylish theme. Lounge areas and games rooms allow for a break away from your desk while meeting rooms help collaboration. All in an historic area of Vancouver, a few minutes from the Waterfront Station. Offering both plush executive offices and innovative virtual office environments, this ultra-modern business centre in Vancouver’s elite business district is ideal for organizations of any size. With flexible lease conditions and a full team of professional staff on-hand, clients are encouraged to take advantage of this beautiful space geared to forward-thinking companies.